As a business owner for more than 20 years, I have seen and experienced my share of relocating, co-locating and expanding. It is never a joyful experience and one that needs a great deal of thought, planning and testing. Most companies have some type of documentation in place telling people where to go, whom to call and what to do. These instructions generally meet the very basic components of a Business Continuity Plan (BCP).What happens when your BCP needs a plan in case of failure? If the BCP is considered your “Plan B”, then you may think you’re covered. Trust me; having a Plan B is not sufficient enough. So here’s our story. We recently expanded our Florida call center by moving to a new suite which doubled our capacity. This expansion included a complete rework of the space we wanted to occupy. It was nice to pick out carpet, new cubicles, office furniture and the like. It was also nice to select a phone system to accommodate our growth. Everything was falling into place. Fresh paint, all electrical work and cabling was done. Our internet and video conference center were up and running. What about the phones, you ask.? This is where the plot thickened. We used a trusted vendor, someone we’ve used and worked closely with for years and through 2 previous moves. We had met with our vendor numerous times throughout the planning stage to discuss our needs and options; and we then followed his recommendations. Turned out his circuits must have been fried when he gave us advice. Okay, I won’t be rude. As it turned out, the system he attempted to install did not work with the circuitry he told us to have installed. The outcome: the vendor was unable to get the new phone system up and running due to the type of service that was selected. This, of course, happened AFTER our phone system was taken off line at our old suite. OMG – Could have been a fiasco. However, we had already implemented our BCP Plan B before taking the system offline—good planning, right? Accordingly, all of our incoming traffic was rerouted to our New England call center. That is after all, our purpose for having a co-location. As it turns out, that wasn’t enough. Who would have thought that Rhode Island would experience a major snowstorm just when we needed to switch over, making it virtually impossible for the employees there to react. Anyone ever hear of Murphy’s Law? Well Murphy showed up with bells on that day. Being responsible for supporting our clients and their different needs, we never have the luxury of not being prepared. Luckily, we had a “Plan C” that was in place and almost immediately upon Plan B meltdown. Business continuity is something that many say they have, but few have actually tested or had to implement. 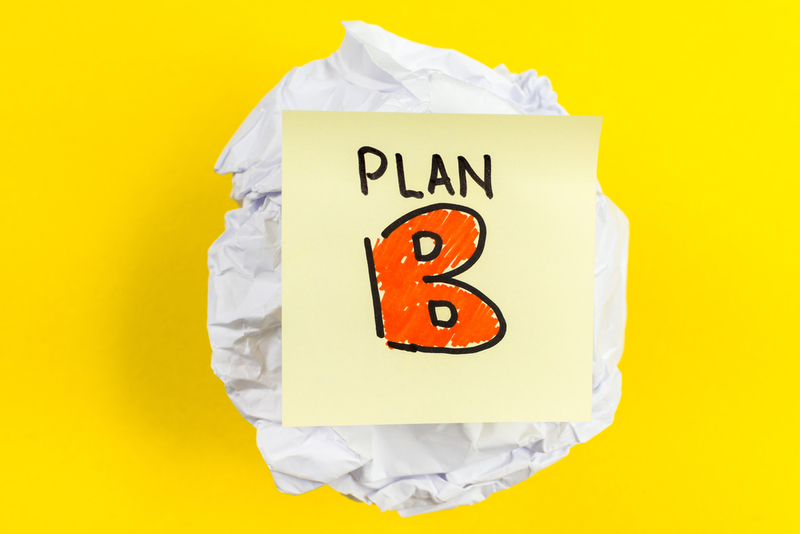 And with new people joining your organization and those previously trusted with access to those plans moving on, it is important to fine-tune your “Plan B”. Specifically, test your BCP carefully and frequently. When was the last time your BCP was updated? If it is longer than 3 months ago, you may want to revisit that. Today, business moves at the speed of tech. Whether you have a BCP or not, you may find that researching “Business Continuity” on the internet is worth your while. There are many articles and resources that will give you the basics of a working plan, or some suggestions on updating your plan. But nobody knows your business better than you do. Communication – Having the plan is important. Providing employees and key contacts with that information more so. Explaining what you are doing to maintain operations is not only smart, but gives the employees a sense of security during hectic times. Is your alternate site or even your cloud solution provider impacted by this event? If using a vendor or contractor, is it necessary to have a backup resource identified or on standby? Have your systems or hardware configurations changed? Do those changes impact mission-critical tasks or systems access? Do you have adequate storage or bandwidth at your alternate site/system to allow for a longer term event? Are there new contacts at your suppliers or customers that need to be informed? Does your corporate e-mail need to be rerouted? What about your personal voice mail greeting? Have any of your passwords or logins been changed since the last update? How will your customer, client, or employee data be stored/restored once a normalized condition returns? Think outside the box: Disasters come in all sizes and shapes. While we all think in terms of natural (hurricanes, snowstorms) or power-outage events, there are things that may trigger your BCP. Have you planned for mass absenteeism, whether from the flu or worker strike? How about the mundane, such as just a long-term internet or phone outage? If you rely on cell phones to communicate with off-site workers, do you have plans in place in case of a cell phone outage? As I mentioned earlier, having a current up-to-date BCP is important to all businesses. In order to be up to date at all times, you have to think of your BCP as a living document, one that grows and changes over time. Have your coordinators changed? What about key personnel? Do you still use the same vendors? We invite you to review our other blogs here. There you may also learn about our professional interviewing and survey services and many other tools that you may find useful. To learn more at our business writing services, visit us here.